Father’s Day is June 18—a time for you to honor the man who brought you into this world. Whether your dad taught you to drive, fish or grill, it’s time to pay homage to the ones who have done so much for us. Here are our top ten picks for gifts for dad this year from Working Person’s Store. After years of cleaning out his wallet, maybe it’s time you repay him. Our Carhartt 61 2223 20 Black and Tan Leather Billfold Wallet is a classic piece that will last for years to come. This stylish billfold comes in a two-tone black and tan full-grain leather. For extra longevity, it comes with a reinforced spine, corner rivets and contrasting stitching accents. The embossed Carhartt logo elevates the look with subtle style. It features an ID compartment on the left and three secure credit card pockets on the right. Two interior side pockets leave plenty of room to store business cards or his favorite loyalty cards. The billfold has a zippered compartment to keep cash safe–bonus points if you slip in a few twenties. 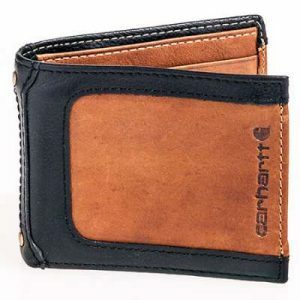 Check out our full selection of Carhartt Wallets. 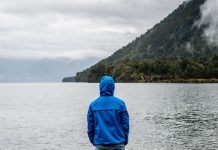 You were never able to keep him in the dark so why start now? 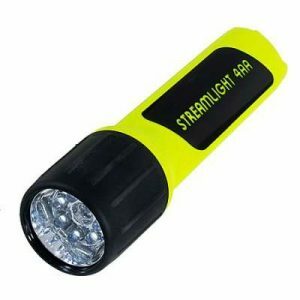 Give your dad the Streamlight 4AA LED 68202 ProPolymer Yellow Performance Flashlight that’s great for work or recreation. The case is built from engineering grade polymer that’s shock- and impact-resistant with a rubber face cap for long-lasting durability. It features seven 100,000 hour LED bulbs for an extra bright beam and offers up to 155 hours of continuous use. The tail cap switch allows constant “on” or momentary “blink” use. No matter what adventure dad faces, this flashlight is up for the challenge. 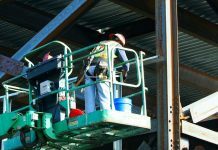 It features an unbreakable polycarbonate lens and it’s approved for use in hazardous locations. This water- and corrosion-proof sidekick is also non-conductive. Our Carhartt Men’s 100289 301 Army Green Odessa Canvas Cap is perfect for any dad who likes to fish, catch a ball game or grill out in the summer. It’s lightweight, comfortable and keeps away moisture and odor. 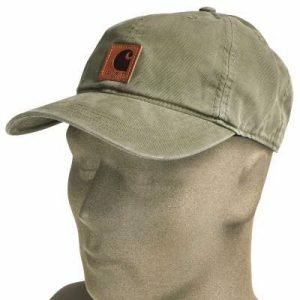 The color and style work for any laid back occasion with its pre-curved visor, 100% cotton washed canvas fabric and leather Carhartt logo. The sweat-wicking FastDry technology joins forces with an odor-fighting Force sweatband to keep things fresh. The hook-and-loop closure will help dad find his perfect fit. For the dad who’s got a tough job to do, give the gift of safety, comfort and style. 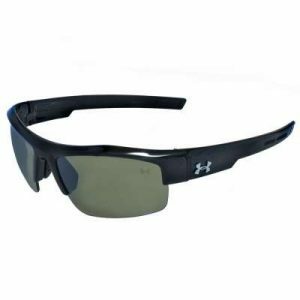 The Under Armour Igniter Black Sunglasses offer performance-engineered safety. The coating on the multiflection lenses resists scratches, smudges and stains. The ArmourFusion frames are made with Titanium and Grilamid which makes them lightweight and impact-resistant. To keep dad comfortable, there’s a soft, adjustable nose pad and a three-point grip. The cushioned hinges absorb shock and will give dad a custom fit. He’s always protected you, now it’s your turn. If you have a tough guy on your list, we’ve got your back. 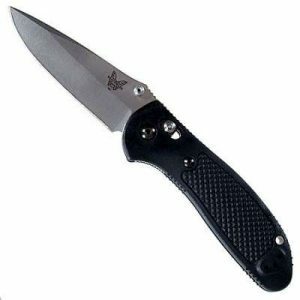 The Benchmade Stainless Steel 551 Folding Griptilian Knife is a great gift for dad. The modified drop point blade is made of 154CM stainless steel and has a handle with a dramatic black finish. This sleek blade is razor-sharp but long enough to handle tough tasks at 3.45 inches long. The entire knife weighs only 3.82 ounces and will fit easily in his hand. The molded textured grip helps keep it steady, and the ambidextrous thumbstud folder makes it easy to maneuver. An AXIS locking mechanism helps it stay in place whether it’s open or closed. 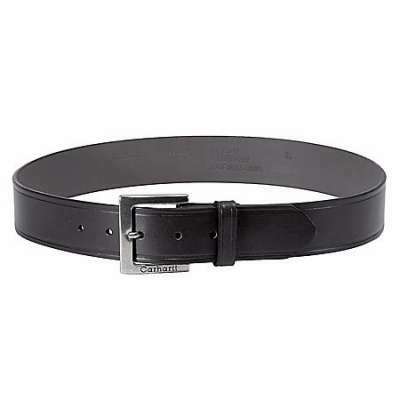 Dad can carry in his back pocket or on his belt loop with the black stainless pocket clip. Shop our full selection of knives. The gift that keeps on giving is one that every dad will appreciate. 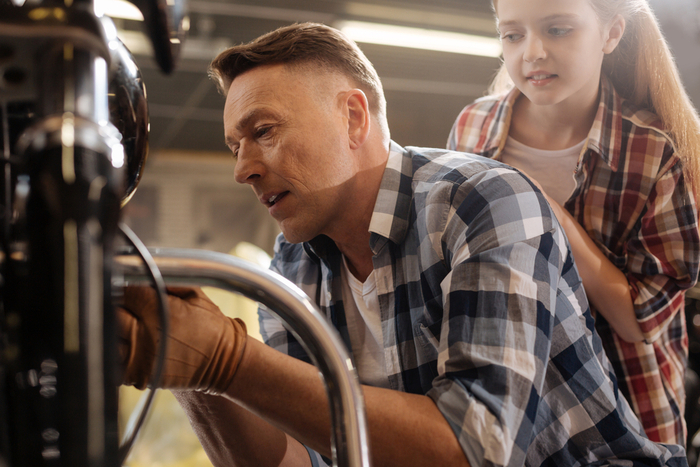 Our Working Person’s Store gift cards will let your dad find the right apparel—from clothes to boots to accessories—for him. Choose an amount from $5-500 for the hard working dad on your list. 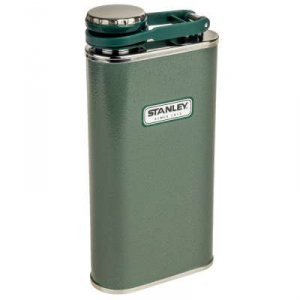 Help your dad wet his whistle in style with the Stanley 10-00837 045 Green Hammertone Classic Stainless Steel Flask. This flask comes in a classic green color with a sleek, throwback design. Made with 18/8 stainless steel, it’s free of BPA and won’t rust. Dad won’t have to worry about losing his cap on the boat or campsite—the integrated lanyard will help him with that. It’s also 100% leak proof so it’s ready to travel wherever his adventure leads. Sometimes you can teach an old dog new tricks. If your dad’s job or hobbies put him in rugged environments, he’ll put a QALO ring to good use. QALO rings are great alternatives to traditional wedding bands for people who don’t let life slow them down. The QALO R MSG SLATE GREY Men’s Outdoors Silicone Ring With Compass is strong, durable, and waterproof. The slate grey matte finish gives this ring an elevated look. Dad can tote his new ring anywhere with a convenient pouch for easy storage. Does your dad always have a cup of joe in his hand? Help him keep it hot with our Stanley 1001562 016 25-Ounce Adventure Vacuum Thermos. 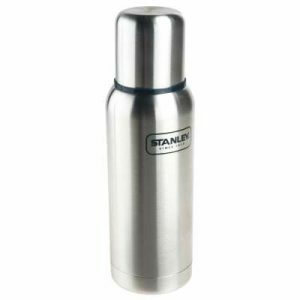 Made with 18/8 stainless steel, this thermos is rust proof, BPA free and won’t leave a metallic taste lingering. Dad can tote twenty-five ounces of hot—or cold—goodness in his new, leak proof thermos. The vacuum insulation keeps drinks hot or cold for up to 20 hours. The removable lid doubles as a cup so he can drink in style on the go. You can never have enough quality t-shirts and that’s why they make the perfect gift for dad. 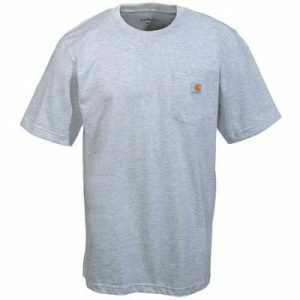 Durable, comfortable and cool, the Carhartt Men’s Heather Grey K87 HGY Short-Sleeve Shirt has a crew neckline, cotton fabric and a breast pocket with Carhartt logo. Choose from 10 different colors and varying styles to get the right shirt for your dad.